The new edition of this comprehensive volume includes thirty-one professional readings that offer a balance of historical, theoretical, and practical scholarship for developmental writing instructors. Chapters in the book have been organized into four main categories that explore major issues in basic writing, including Perspectives from the Field, Literacy and Literacies, Engaging Difference, and Collaboration, Assessment, and Change. Recent scholarship reflects current issues and voices in the field, while classic scholars such as Mina Shaughnessy and June Jordan offer insight into the foundations of basic writing, making this a diverse collection of practical insight for instructors both in and outside the classroom. 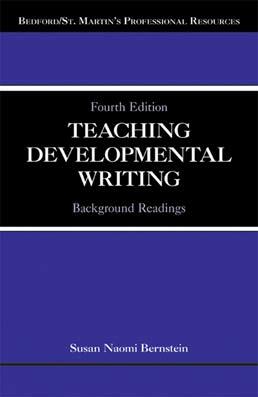 Susan Naomi Bernstein’s most recent book is Teaching Developmental Writing, Fourth Edition. She has published in Journal of Basic Writing, Modern Language Studies, and elsewhere, and has an essay forthcoming in Reflections: A Journal of Public Rhetoric, Writing, and Service Learning. 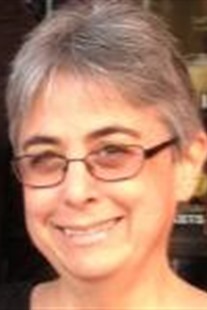 Susan currently is a lecturer at Arizona State University in Tempe, and co-coordinates the Stretch Writing Program. This year she is teaching a section of Stretch at an American Indian Community in central Arizona, as well as a new practicum course in teaching Basic Writing.